Southern Springs Stable, Robert LaPenta, and Head of Plains Partners' Whitmore captured the Grade 3 Count Fleet Sprint Handicap for the second year in a row, finishing with and impressive stretch run to hit the wire in front. The 5-year-old son of Pleasantly Perfect, ridden by Ricardo Santana for trainer Ron Moquett, covered six furlongs over the fast main track in 1:09.77 as the heavy favorite. 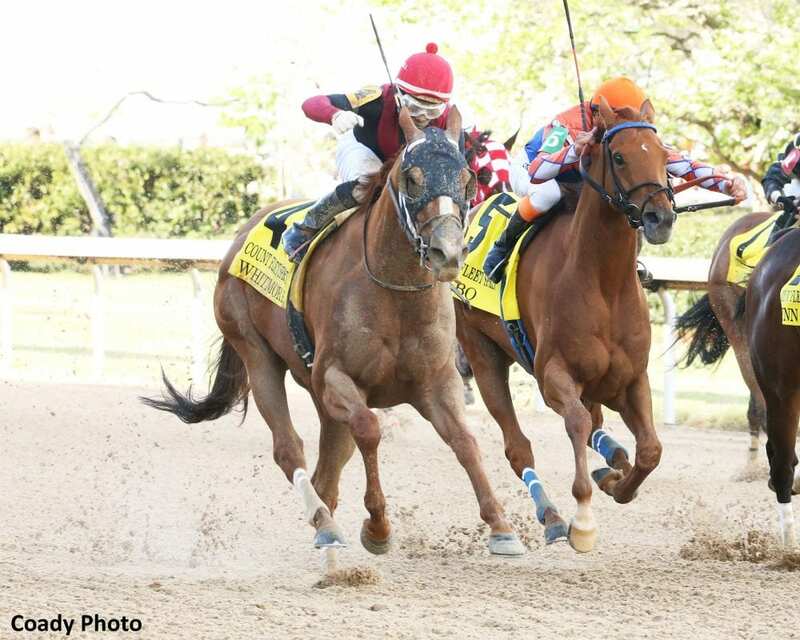 This entry was posted in Racing and tagged count fleet sprint, Oaklawn, oaklawn park, Pleasantly Perfect, ricardo santana, ron moquett, whitmore by Paulick Report Staff. Bookmark the permalink.